I feel like I’ve been lying to you, friends. I’ve written post after post after post about how I am going to get my sh** together and be better. I was going to be intentional. I was going to quit the pity parties. I was going to turn a corner into hope, joy, and resolution. Around that corner, there was going to be this badass who had it all figured out – the grief, the anxiety, and…the depression. I had the outlets. My blog. My fitness. My tribe. My counselor. I had (and still have) these tools, but I just couldn’t get myself around that pesky corner. And on the dark days – and there have been many in 2017 – I beat myself up that I couldn’t make my move to the other side. I’m always coming up with a new plan. This time, we’ve figured out the right medication. This time, I would quit the obsessing. This time, I will trust God. Nope, not like those other times. This time was going to be it. But, it wasn’t. Then, it wasn’t again. And then the next day, it STILL wasn’t. You would think at some point I would get tired and just BE HAPPY. Choose joy. Choose it all the time. But, I couldn’t, and if I am being really honest, I’m still struggling. I could write resolutions and those cute how-to’s on how to make resolutions, but for 2018, I want HOPE. I won’t find it in the latest diet craze or beautiful planner that promises to get my crap together. I won’t find it with things that bring me so very down. I won’t find it today or tomorrow or maybe next week, but I want HOPE that it’s coming. I want HOPE that it’s coming, and it’s going to be good. So, right before Christmas, I saw my beloved doctor who hugged me as soon as he walked in. He saw it on my face and immediately said Plan B wasn’t working. He took his time and listened. We had a real discussion. I cried when it was done. I had my first glimpse of HOPE, and I haven’t seen that in such a long time. And, it felt REAL, and it felt damn good. You can bet this blog will chronicle where I am headed, and if Plan B becomes Plan C or D. You can bet I’ll share the good, the bad, and the crappy because anxiety and depression are no walks in the park, and they sure aren’t rainbows right away after you’ve found your new course of action. I know it will take time. A sweet friend who knows these feelings all too well said to me recently that she was in the “pits of hell” last Christmas, and I lost it because holy moly, do I get it. And she has found such HOPE in her plan that I am encouraged in mine. I see HOPE. And I am gunning for it. 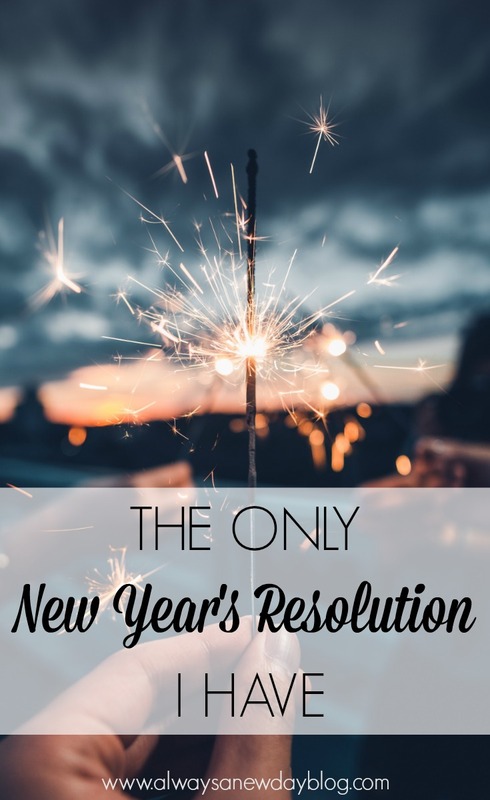 If you’re looking for a good resolution post or quick tips for the best year yet, I don’t have any for you. I want to so badly, and I don’t want this to be a space of doom and gloom. But, I want to be real in my writing so for now, I’m keeping it real no matter how murky it gets. My husband asked what I wanted for 2018, and I said that I JUST WANT TO BE HAPPY. I’m still a sister grieving a brother. I’m still lost in what’s next for me in the working world. I’m still a worry wart. But, my HOPE is that in this new year, I’m just a tiny bit – or praise it all, a big ol’ bit better – than 2017. I see that corner, y’all. And while it may be too many blocks ahead, I see it. And when I reach it, I’ll let you know. I’m going to round that corner with all the fight I have. Bring it, 2018. I HOPE by the year’s end, I have the best bunch of happy and hopeful posts on this side of the blogging galaxy. You may be a worry wart sometimes and a grieving sister but you are also an awesome mom, a loyal loving wife, a great daughter, a healthy fit woman. Positive affirmations about ourselves are a great tool to help us stay in a positive mindset and not to forget our assets <3 I am going to go into 2018 trying to write 3 things that went well every evening to remind myself that the day isn’t all bad. I love you pretty lady!!! I love you and miss you so much. Workout/lunch/something soon?